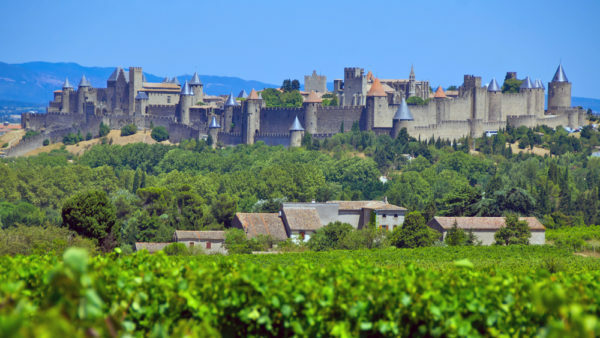 Full day private wine tour of the vineyards and surrounding area from the famous “La Cite” of Carcassonne, a listed world heritage site. Wine tours from Carcassonne allow you to discover one of the largest wine growing regions in the world and select your appellation of interest..
Wine tours from Carcassonne allow you to discover one of the largest wine growing regions in the world. 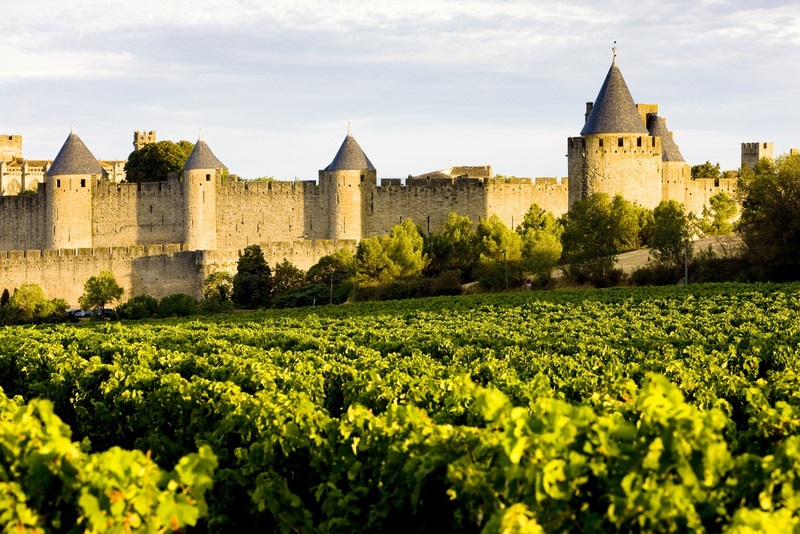 To the east of Carcassonne, the region of Minervois with 3 smaller appellations within its boundaries, these run from the Mediterranean coast to Carcassonne. St Jean De Minervois is very popular with the locals for its sweet Muscat served with Fois Gras or served as an aperitif, the wines here are of a mediterranean style with the red grape varieties of Grenache, Shiraz, Cinsaut, Carignan an Lladoner Pelut. The white wines are Bourboulenc ,Vermentino, Roussanne, Massanne and Grenache Blanc. Visit three Vineyards on your day excursion in your chosen appellation. The tour will allow you wot tour the vineyard and wine making facilities and the cave. Each visit will include a private tasting.